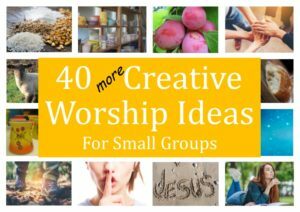 Small groups in the UK: work in progress? 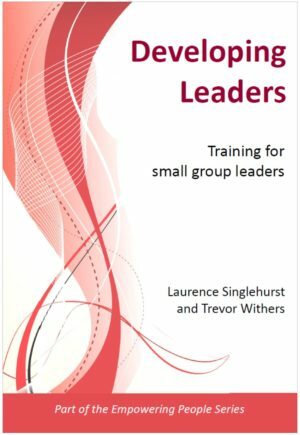 Trevor Withers and Laurence Singlehurst distil some thoughts from their experience of small groups in local churches. With more than 21 years’ experience of small groups, we believe that the model of church that has both a small and large group expression has contextualised in the UK and taken shape in a way that is dynamic to our culture. We have learned that the Biblical principles expressed in this idea of Church sometimes work in different ways in different cultures. It’s important that vision and values lead an idea, and it’s easy to articulate your structures too strongly, which means that the vision and values are catching up, rather than leading. How do we articulate vision? John Wesley described his vision as scriptural holiness lived out everywhere. Every individual taking responsibility to live out the life of Christ for themselves, their workplace and family. In the UK many small group leaders have articulated the vision of church as a movement that is seeking to enable people to love God and follow him; to love one another and build genuine community; and to love our lost world. It’s the vision that every church member will be active in this, living transformationally as the Holy Spirit leads them. These beliefs and values need to be the drivers of our small groups. You can’t start new groups or multiply existing ones unless you can grow leaders to run these groups. It sounds obvious but it’s amazing how often we get caught out by not realizing this and putting some sort of leadership development in place. Many churches find that they have to start further back than leadership development as they need to put some basic discipleship in place around material like 4Life which starts to get people thinking about being active rather than passive in their faith. We have also recognized that small group leader development has a number of components, there are things that need to be learnt in a cerebral way and other things that need to be learnt through experience. We tend to focus on the class room type setting for our teaching which can have the danger of giving so much information that the potential leaders are overwhelmed and put off before they have even begun. To avoid this we have found that it is good to mix the informational learning with the experiential. This is done by running a training group which gives everyone the opportunity to lead each part of the group as well as leading the group itself. There is then a time for feedback and reflection afterwards. The group runs for a number of weeks during which time those attending realize that they can lead the group successfully. All the material, including outlines, to run a training group is in Cell UK booklet 4, Equipping Future Cell Leaders, available from our shop. Small groups tend to meet weekly in homes and come together with other groups as a local body at celebration services. Both gatherings are vital! The small group meets to experience Christ’s love through others in a small intimate setting. The celebration service is to experience God in corporate worship and to receive teaching from His Word. Both are necessary for God’s people to be empowered and encouraged into a sense of destiny and purpose as whole life disciples. In practice this means that groups often base the word section of their meeting on the Sunday service. This is not just an opportunity to re teach the sermon but rather a place where there is an encouragement to grapple with how the group members can apply what was taught. This often includes prayer ministry or other forms of support between the members so that lives can be changed both within and beyond the group as a result. As well as a flow from the large gathering to the small the reverse can also happen as issues that are shared in the small groups can be used to shape the content of the Sunday teaching making it relevant to the felt needs of the congregation. These small groups act as the task groups in many churches and as such serve the larger gathering in many practical ways. We have learnt that regular encouragement through small groups to make friends outside the church through the witness section of the meeting has meant that churches are much better connected to those beyond them. However we have also seen that the spiritual hunger of those friends is not always very high. This means that not many friends will be at a point where they will want to attend say an Alpha course. This means that we need often to be in relationship with people for a long time and consider going on a journey with them with regard to seeing them come to faith. Loving the lost and reaching out is hard work. Alpha has been a fantastic blessing; it has helped us to understand that small group evangelism is not necessarily about dragging non-Christians into the existing small group, but empowering members to love their colleagues, friends and neighbours. These colleagues, friends and neighbours begin a spiritual journey and for many, Alpha has been a part of that. Many of the churches that have grown, have seen that growth through the people who have been in Alpha and subsequently joined a small group. We have also learned that at times, we in the body of Christ, have approached reaching out on a mechanical basis, pushing people through our various church initiatives, rather than asking ‘Do we share God’s heartbeat? He loves his world, do we? Some churches which have grown, have been those where love has been high on the agenda. We need to remind ourselves that small groups are a means to an end. If we are not careful the establishing and ongoing health of missional small groups can become the main thing. These groups however are the vehicle by which we are seeking to see God’s Kingdom break out. In Luke 10 Jesus says ‘the harvest is plentiful but the workers are few, pray therefore for workers’. From this we can ascertain that we should be praying not for the harvest as we so often do but for workers. So rather than our praying being for our non Christian friends we should be praying for ourselves as workers. 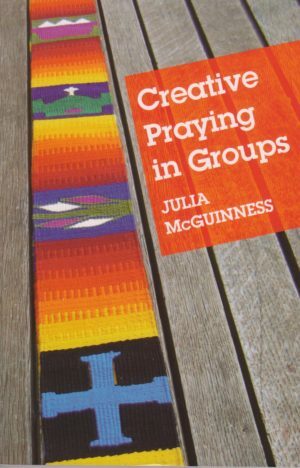 This puts the responsibility back with us and enables us to pray for each other in our groups in very practical and specific ways. It creates opportunities for us to pray into our work situations, families and local communities with the emphasis on us carrying the presence of Jesus into these places. God is love and as an expression of that love He is Father, Son and Holy Spirit – the Trinity. This Trinity can be described as a community a small group, so when we gather together in small groups in loving relationships then we are emulating the very heart and nature of the God we believe in. Furthermore this love is sacrificial and is demonstrated through Jesus’ death on the cross. Our love is tested and refined in our small group communities as we are challenged by each other and make sacrifices for each other in a way that is not so necessary in larger gatherings. Luther’s revelation about the priesthood of all believers can finally find an expression in small groups as it is now possible for everyone to contribute and see the reality that the early church experienced be ours as well; participation by everyone. Bill Beckham highlights the transcendence and imminence of God as a good way of looking at how what he calls the two wings of the church functioning together. We described this earlier in point 4 ‘the two dynamics of healthy churches’ but it is interesting to think of it as an expression of these theological terms rather than just a good idea. So in essence the large gathering can be seen primarily as an expression of the transcendent God and the small group as an expression of imminence. It is interesting to see small groups being picked up by an increasing number of churches who are seeing the need for small groups that encourage people to be authentic in their faith and support them as they connect with friends and work colleagues.